In modern times it’s easy to forget that literacy in the medieval period was reserved for priests, scribes and the upper classes. So if you want Henry to be able to understand books and recipes in Kingdom Come Deliverance, you’re going to study. Here’s our guide to the Mightier than the Sword quest, where Henry learns to read. Learning to read in Kingdom Come Deliverance unscrambles the letters in books and recipes, which is really useful if you plan on brewing your own potions through alchemy. This quest requires you to have 50 Groschen, so if you need cash, take a look at our tips for making money in Kingdom Come Deliverance. 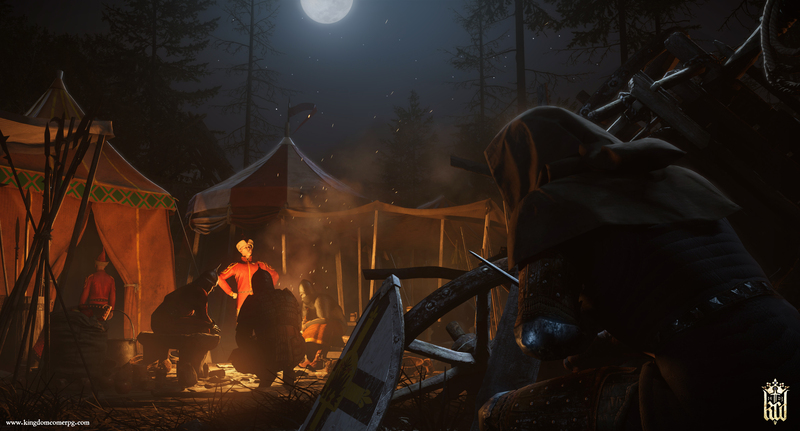 You can start the Mightier than the Sword quest by speaking to the Rattay town Bailiff. It’s a good idea to speak to him when you’re starting the Keeping the Peace quest, but otherwise, you can find him there again in the two storey building near the armourer. From there you’ll need to travel to Uzhitz, which you’ll be doing as part of the Mysterious Ways quest anyway. The Scribe’s house is northwest on the main town plaza, across from the tavern in Uzhitz. Once inside, speak to the Scribe and he’ll agree to teach you – for a price. Pay him the 50 Groschen – or haggle him down if you like – then start the reading test. Following a cutscene, the Scribe will ask you to sit down and read the book on the left hand side of the table. It’s the fable of the Golden Goose. When you’ve finished, return to the Scribe and he’ll ask you what you read. Choose the dialogue option about how being greedy doesn’t pay. He’ll then ask you to read the book on the right, in Latin. Once you’ve read it, go back to the Scribe again. He’ll ask you to recite what you just looked at. Choose the dialogue option that’s all in Latin – ie. the ones that don’t say “drop it” or “liquor party”. Henry will now have a basic understanding of reading and be able to unscramble some of the letters in books, alchemy recipes and other texts. You now also have access to skill books, which are useful ways to increase your important stats.